Finally. 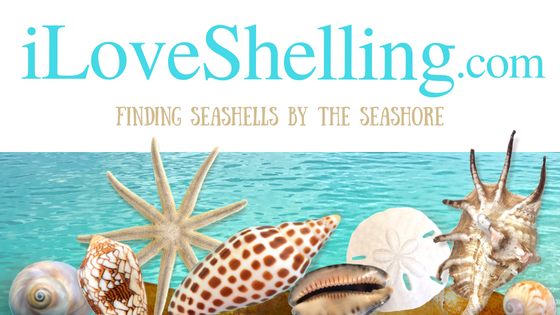 After weeks of calm, hot weather in Lee County waiting to see treasures wash up on our beaches… we found them in Cayo Costa on our iLoveShelling cruise with Captiva Cruises. Shellers were finding BANDED TULIPS, LIGHTNING WHELKS, PEAR WHELKS, NUTMEGS, FIGHTING CONCHS and the shiniest most colorful LETTERED OLIVES I have seen in a while. And then there’s this… James from Kentucky found a big beautiful HORSE CONCH completely intact. Shellzam! What a find! Not only were there shells, we saw plenty of wildlife and beautiful scenery on our secluded island. Our boat was filled with shellers from all over the world who got to know one another and share experiences AND share the shells they were finding. It was so much fun to meet beach explorers like Dominic finding treasures with his family from Ohio. And to see hawk eye shellers Rachelle and Justin again (they were on our May cruise too!) not only finding amazing shells but I think they gave away more than half of the shells they found. Shellers are awesome! as well as on the beach and wading waist high. Shelling Sister Susan and Jerry from Panama City were thrilled to find beautifully patterned double SUNRAY VENUS shells half buried in the sand. Kathy from Tulsa was on our cruise too! She still has her lucky Margarita bucket but since this one is on its last leg, I guess more margaritas are on order- whoohoo! I’m positive the next bucket will be lucky too. Its so much fun to hang out with other happy shellers and especially to see the excitement when there are lots of treasures piling up in all sorts of shell bags and buckets. And of course…. everybody on the cruise got an unbelievable $25 gift certificate to Sealife By Congress!!! Sealife By Congress thinks shellers are awesome too! My husband and I are looking forward to spending our 7th wedding anniversary on the cruise Oct. 27th. We are coming from Nebraska so we hope for sunshine and warm weather!! Needed that Sanibel break this morning :) Keep shelling for me! so that’s what shelling is like at caya costs! darn, we missed it by a week. still had a great time, but that’s what we were expecting when we got there. guess we’ll have to try again on our next trip there. Pam – did you ever pick up your “present” at Island Inn?! ha – I can’t spell. caya costa! OMG – Cayo Costa! shouldn’t do this from my phone. Thank you Pam for the wonderful shelling excursion on 9/12. I had a great time and look forward to doing it again sometime soon. Oh my everyone. Thanks for sharing all your wonderful finds, good trip! Those Venus rays are beautiful !!! Congrats to all. Luv those olives. Shucks, every time I come I miss your shelling cruises. Coming the week before Thanksgiving and you have one the week before and the week after but none that week. Maybe next year…..
We had a great time. We even went out on the cruise the next day and I found a really nice true tulip! I was so happy to see “the tide has turned” with good shelling once again. Great finds! We had so much fun on this trip with Pam and Captiva Cruises and can’t wait to do it again.